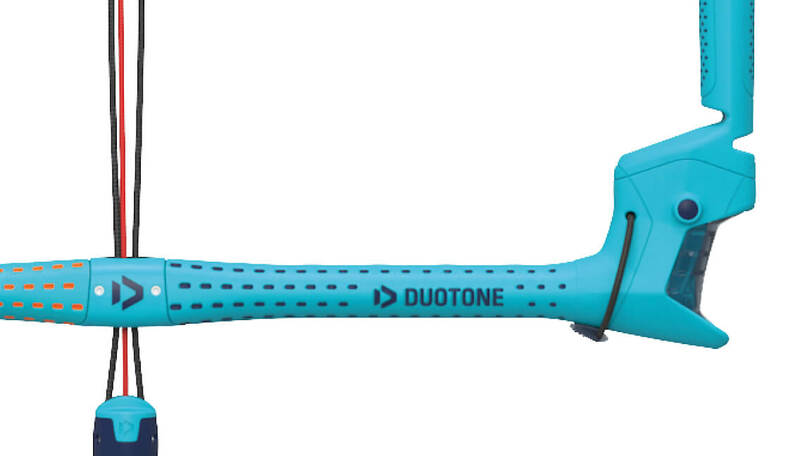 the Duotone 2019 Trust Bar can be upgraded within 3 minutes to a 5-Line Bar. The upgrade kit features a real center line safety. A QUICK AND EASY SAFETY SOLUTION. 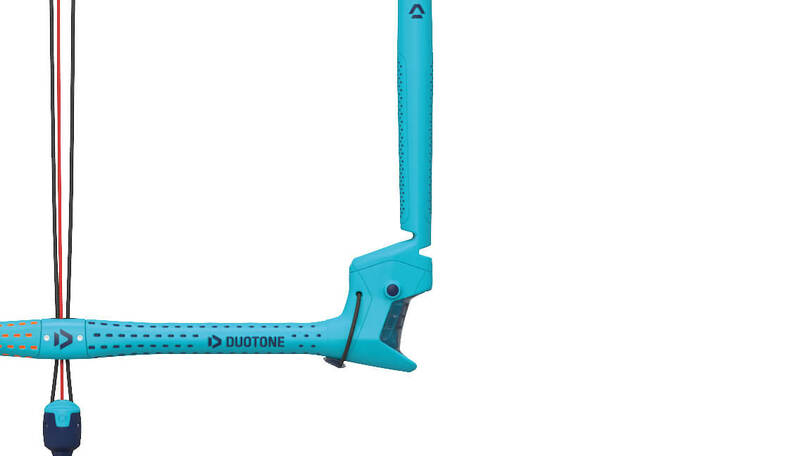 WHEN THE QUICK RELEASE IS RELEASED, THE SINGLE FRONT LINE PRESENTS A SMALLER AREA OF THE KITE TO THE WIND AND MAKES IT NEARLY PRESSURELESS. THANKS TO THE IRON HEART IV, THE NEW SUICIDE RING III AND THE SINGLE FRONT LINE SAFETY OF THE TRUST BAR IS SUPER EASY TO USE. 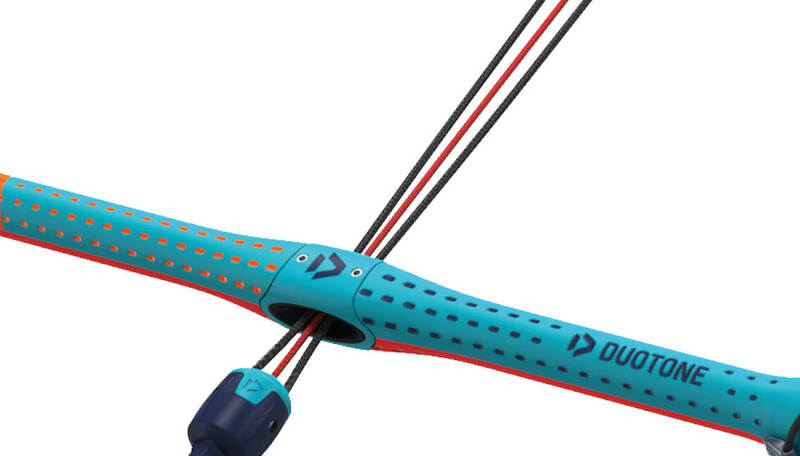 THE TRUST BAR CAN EVEN BE USED IN COMBINATION WITH NEARLY ANY OTHER KITE ON THE MARKET. THE SUICIDE RING III ALLOWS TO SET UP A SUICIDE SYSTEM, WHILE KEEPING THE RING AND THE LEASH UP AND OUT OF THE WAY OF THE CHICKEN LOOP. QUICKLY HOOK IN AND OUT AFTER FREESTYLE TRICKS. 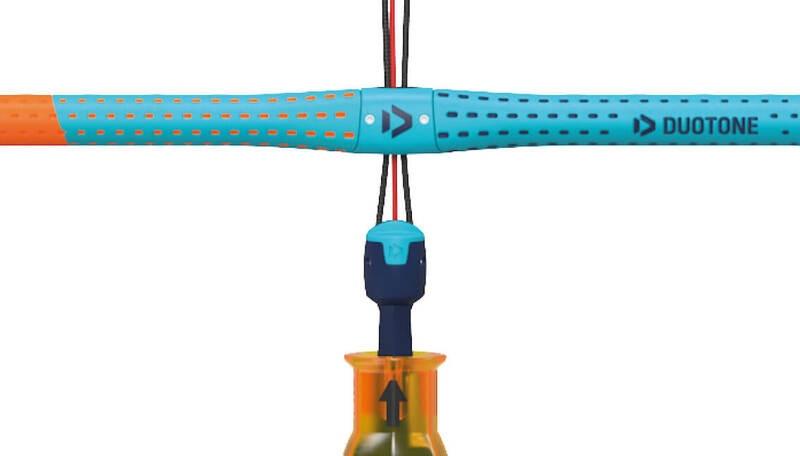 The molded EVA floater is fully integrated into the winding posts to offer a seamless connection, which gives better protection to the lines and the rider. The integration of the EVA floater also avoids line tangling and gives better overall stiffness between the bar and lines. To achieve better and more direct feedback on the thumb, we added a push pin on the outside of the winding post for easy operation. The Flip-Flop function allows you to switch between a 53 cm and 46 cm bar width (M / L bar) and 49 cm and 42 cm bar width (S / M bar) with just one click. This makes the procedure of changing the bar set up far simpler. Small diameter of the bar allows a very thick EVA bar grip. This offers ideal control and comfort. The Winding Posts are made of a fully molded fiberglass reinforced Polyamide construction, which offers an incredibly lightweight solution with increased stiffness. In addition to this, there is a molded EVA cushioning to ensure maximum comfort for the rider. 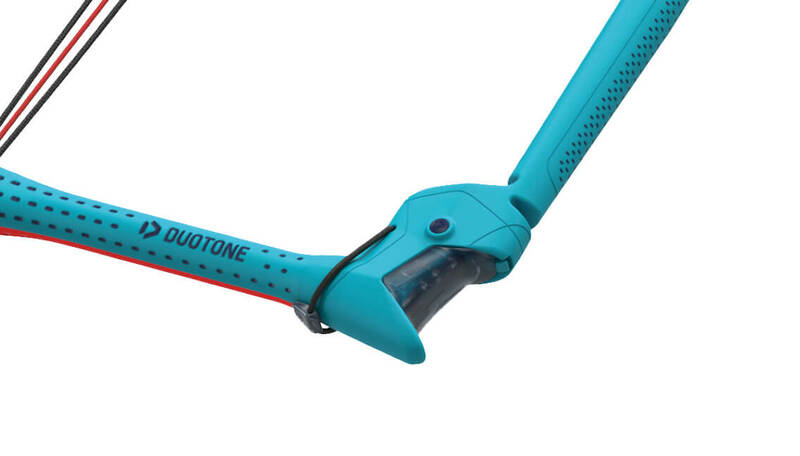 The Winding Posts feature an integrated backline adjustment, which allows the rider to trim the rear lines when needed.